Tricks and Treats: Anatomical Heart Cake and a SprinkleBakes Book Giveaway! I love caramel apples. I love to give candies apples though. I love making and giving chocolate-dipped treats! Starburst candies are my guilty pleasure and I always loved getting them at Halloween! My favorite treat to give is salted caramel chocolate pretzel bark! Candy Corn....very sad, I know. Any salted caramel 'thing' and I am too weak to resist, but it always seems like a FALL thing. Would love to win the book. 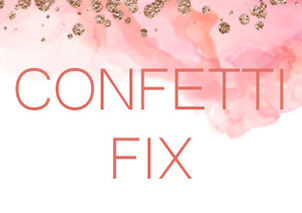 I would buy it if I had the money :) Love the blog! I just love getting suisse Ragusa-Chocolate :-)! I love giving away boxes of chocolate... and who would say no? My absolute favorite is Reese's pumpkins. Also, it's so much fun to create wonderful things in the kitchen with leftover candy! Wow! That heart is absolutely amazing! I Love caramel apples now and forever! I LOVE Kit Kats & those chewy peanut butter taffy's.... MaryJanes? oohh yep, those are the ones!! We don't celebrate Halloween in India. But - if we did - I'd adore Reese's peanut butter cups. Had them once and LOVED them. I'd so so so love to own a copy of your book. Halloween for me means buckets of those pumpkin shaped reese cups. I love them! As far as homemade, chocolate cut out cookies are a favorite! In Spain we don't celebrate Halloween so much, but I love doing something sweet and scary. I love nutrageous chocolate bars! I love homemade butterfingers and love making them. However, to give for Halloween Paydays and Reese's. In Germany we do not celebrate Halloween, and we do not know special treats for that, but I would love anything with chocolate! 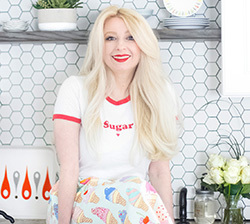 I love making cupcakes after Halloween for everyone using left over chocolate bars! My favorite Halloween treat to give or receive is Dots or Swedish Fish. Anything fruity & gummy and I am in! I love to bake!! My favorite thing to give at Halloween is pencils, bouncy balls, and little activity books. 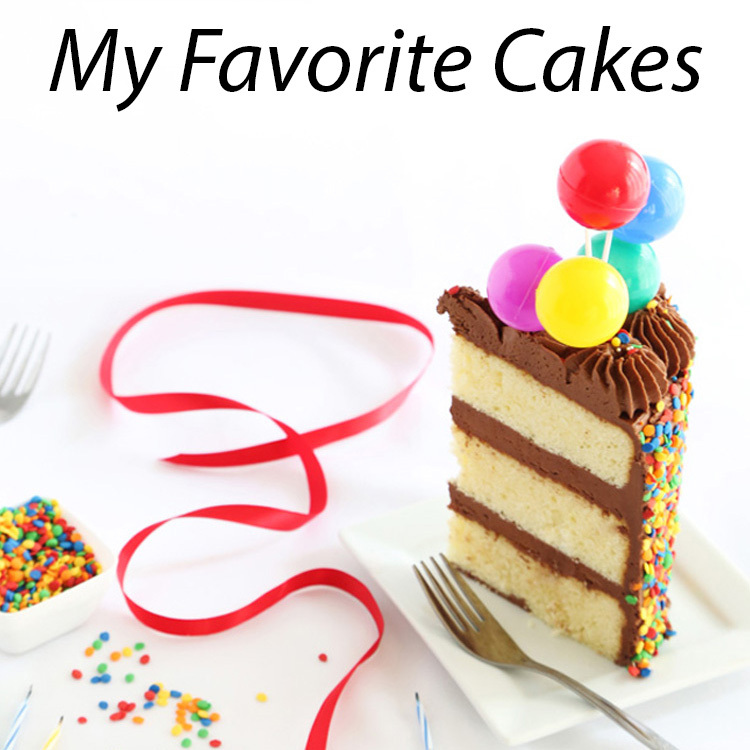 I salivate everytime I see your cakes. 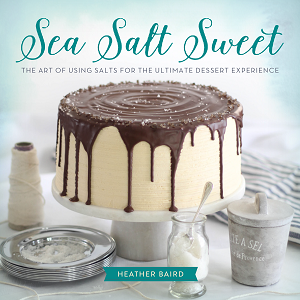 I can only bake something nice like yours if I win the book. This I promise you. Thanks for opening the contest for your overseas fan. a little bag of candy corn and roasted peanuts, chewing them up together tastes just like a payday bar! Yum! I have a soft spot for Child's Play with tootsie rolls and dots. I get excited every time I see it! 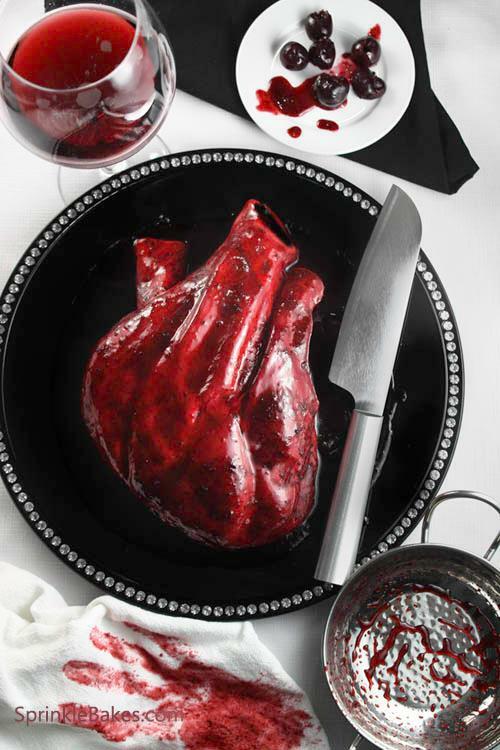 Your anatomical heart cake looks disgusting...but I bet it tastes soooo good! My sister and I always used to spend a good hour or so after trick-or-treating to trade and dole out our candies between the two of us. I went for quality, she went for quantity. I always hoarded my chocolate until Christmas, or until my sister or my mom found it! home-made chocolates, filled with blood red cherry filling, that leaves every kid looking like a vampire. I still get a kick out of any punch that utilizes dry ice... that will never get old. that really looks grotesque and good! all at the same time.... I'd love to slice into it! Black Forest Cake is one of my favorites, and this cake would be perfect for our Appreciation Dinner for the Haunted House I volunteer at! my favorite halloween treat to get is *smarties* I love to give cupcakes! Halloween themed cupcakes. There are so many fun ones to try. I'm giving out pumpkin mousse this year! My favorite Halloween treats are the mini chocolate bars! Oh man I can't decide between this or the Frankenweenie cake. Injured gingerbread people - tasty and lots of fun to make. 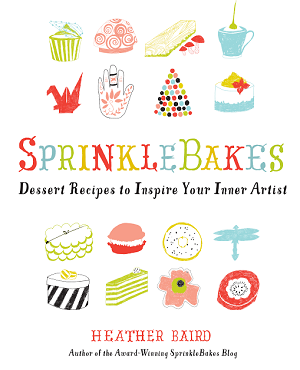 Oooh, I would so love to have a copy of SprinkleBakes! Caramel apples are my favorite fall treat. That is a great cake. It looks so real. Oops! I forgot to answer the question! I love getting chocolate toffee almonds and tiramisu caramels. i am really curious about this! The treat I look forward to every Halloween is Pumpkin Pie. Honestly... I'm in South Africa and Halloween has only become more popular these days, but I reckon anything with pumpkin. Celebration of Halloween isn't widespread in India, but would love to be treated to 'Fingers' dipped in Chocolate, Peanut Butter, different kinds of honey ,Caramel....and all the lovely dip ins! I am already drooling over this imagination of mine! I love anything home made at Halloween, it just tastes better if you know you/someone else put some effort in! I love when it's Reese Peanut Butter Pumpkin time of year! I love caramels! I also love making them! I look at all your pretty pictures and drool! Even over this heart cake which appeals to my inner murderess! I miss Halloween even if I'll only miss it this year for being out of the USA! Love it! Halloween is not a very famous celebration in my country but I love anything made with chocolate, if it is home made even better! I love making Halloween themed desserts. One of my favorites is the graveyard cake. It's the same as dirt cake (pudding covered in crushed Oreo cookies) but with scary additions like Milano cookies for gravestones, gummy worms, and marshmallows on toothpicks as ghosts! That cake is perfectly creepy. My fav treats are brownies and popcorn balls. When I was a girl, my mom knew a lady who made popcorn balls with chunks of caramel and marshmallow. The best chewy things ever and when paired with bits of dark chocolate brownie? Heaven! This is so disgustingly great! I love it! The styling is spot on! I was craving a Butterfinger yesterday and went to my 13 bags of candy to realize - I didn't buy Butterfingers :( Had to settle for 3 Musketeers. I love to give out a mixture of Snickers, Twix and 3 Musketeers bars. Some years we get a lot of trick-or-treaters, and sometimes we only get a few. When I give away our favorite candy, we really enjoy any leftovers! Hope everyone is staying safe through the storm this week! I love giving (and eating) homemade gingerbread skeltons. They're so easy and perfect for halloween! I just love candy corn. I know it is just sugar, but I can't get enough around halloween. My favorite treat to make and give away is the recently discovered pumpkin cream puffs. love those little Mary Jane peanut butter taffy things. so many people hate them, but I love them! Candy corn. But I am going to try to make my own this year! Butterfingers - a deliciously sweet chocolatey-peanut butter crunch! I'll go for English toffee. Snickers! They are my favorite. I'm a sucker for carmel apple suckers! When I was little we felt like we really hit the jackpot when someone put a can of pop in our treat bag. I LOVE candy corn. I'm so glad it only comes around once a year, or I might turn into one! I am a twix lover! I loved getting full size candy bars as a kid! My favorite used to be white chocolate kit kats, but with this pregnancy, it would have to be anything with milk chocolate and peanut butter. Yum! I actually have never been to any Halloween parties before because it's not a big thing except an excuse to play dress up. But, I would love to give or receive toffee apples. Never eaten before! This cake looks sufficiently creepy! The cherries on the side are a nice touch too! Some things never change, I always liked the chewy candy rather than the chocolate bars. However some things do change, now I buy them myself and eat more of them than I give away to trick or treaters! My favorite Halloween treat had to be the Reese's PB cups. They were always the first things gone out of my treat bag :) Plus I would haggle with all the other candy I had to get my brothers Reese cups too! I love to get SweeTarts and Smarties! "Flancati" - national sweet pastry dessert from back home. Sour candy is great, especially Warheads! Kudos for everything you have accomplished and continue to accomplish.Tout est beau..toujours. Caramel Apples! Best thing about halloween! I love double bubble gum! You know the kind that you eat for approx. 3 minutes and then it turns all tough and gross? Yep, that's the kind! (I don't eat it after that... probably why I can go through a massive bag in like 3 days). I like to get anything with caramel (except snickers, eww) or peanut butter. I love giving people homemade cookies at the Halloween party I have every year. Also, this book is on my Christmas list! Get and Give: Reese's PB cups. YUM! give - any sort of wacky cupcake creation that pops into my head! get - kit kats, ughhh!! Anything made of chocolate, and I don't mind if it has caramel in it, or lots of caramel. I like to give and get different things actually! I love, love love to get candy corn in my bag ('cause I'm just too ashamed to buy them myself) and I like to give out Tootsie Rolls (because my Mother loves them) and Eyeball truffles to the children of my neighbors (kinda sad the way you can't give out homemade candies to just anyone these days, eh?). Reese Cups are my favorite but anything chocolat gets my undivided attention! Caramel Apple Pops! My next endeavor is to make my own! I love to get homemade popcorn balls!! Chocolate. Good chocolate if possible. My favorite treat to get are butterfingers! I love Twix bars :) We don't celebrate Halloween where I live, but I'd love to make my own candy to give away! My e-mail is lulimj@gmail.com. Thank you for the chance! I've had the book on my wishlist for a while. This is genius! I love it! My fave treat has to be Twizzlers. My fav treat that I will be sure that my kids share with me is Snickers. My grandmother used always make popcorn balls (just like the recipe you posted last week, sans the sprinkles :) and they are still my favorite Halloween treat. Love to give & get Reeses Peanut Butter cups! !--Full Size NOT mini!! Musketeers are my absolute favorite treat to receive and I enjoy giving them as well!! Oh my goodness I LOVE this cake! I know it's terrible, but candy corn! My favorite Halloween treat (and this is laaaaame) is any kind of fruit snacks. Seriously, I love the things. Fruit roll ups and gummy bears or worms are almost as good! My favorite Halloween treat are those Peanut Butter pumpkins. Yum! I wish I was having a halloween party, just to make one of those! We really don't celebrate Halloween in Portugal the same way as in the United States, so I've never given or received a treat. But I think I would like to receive something with Nutella, or Milka chocolate. Fave treat to give AND get is chocolate!! I live in Israel so we don't quite trick-or-treat, however we do have Purim - a holiday in which children dress up in costumes and exchange gift baskets (occurs in February/March) - so my favorite thing to get in those baskets is Reese's cups. I love to give ppl a fright of course! always been a sucker for twix.. I love getting Reese's Peanut Butter Cups at Halloween! I love caramel apples dipped in dark chocolate, then in chopped toasted nuts as a Halloween treat...mmmmmm. Happy Halloween everyone! Maravilloso, parece de verdad. Enhorabuena!! it was always peanut butter cups.. ALWAYS but looking back i really loved when we went out to the less visited house and they would have home made cookies and fudge. I love giving spooky themed candy, something really halloweeny! I love all the mini sized candy bars...that way you can taste test! That cake creeps me out! I love caramel apples best of all!